It’s been awhile since I’ve done a Photo Friday, so now that I’m getting back into blogging, it’s time to resurrect this feature. For those who are new followers, Photo Friday is basically a mini blog post that just focuses on one photo from that day or week. 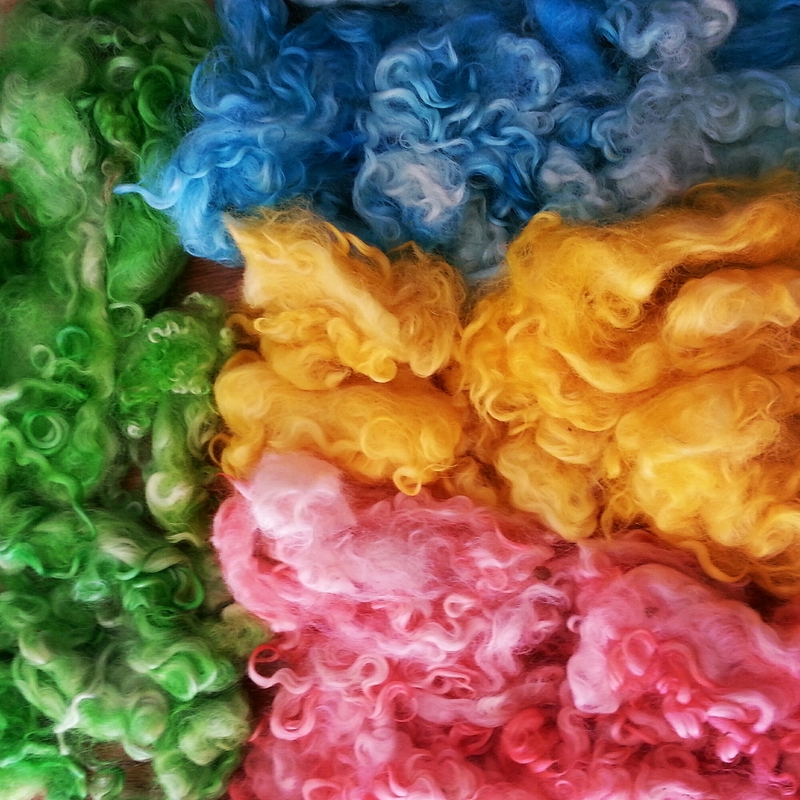 For today, my photo shows the white wool that I dyed four different colors that will now become colorful rolags. I can’t wait to see how these will blend together.